My name is Ian Cook. I am a journalist and ex-BBC producer who has secondary progressive MS. 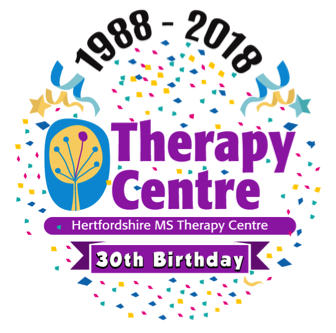 I am a member of the Birmingham branch of the MS Society in the UK and have attended the Mercia Therapy centre in Coventry. I have started a free e-magazine for people with progressive MS The first edition was April/May 2015. The e-magazine contains news (mainly about research for new treatments for progressive MS) as well as my tips on how I manage my progressive MS , based on things I do to help myself. The e-magazine is something I do by myself and for people like me. There is no commercial sponsor and no commercial agenda. I appreciate that you know nothing about me so I thought it might be helpful if I gave you some biographical details about myself. I am 58 years old and was diagnosed with MS in 1993. My MS became progressive in 2008 and I now walk with a stick. I also self-catheterise. I am not on any DMDs but take baclofen for spasms and spasticity. I worked at the BBC in London until 2002 as a producer in health and consumer programmes and since that time have worked from home as a freelance journalist, mainly for health magazines and websites. I have written for the Guardian newspaper and the BBC’s disability website called Ouch. New trials for people with primary progressive and secondary progressive MS which are now taking place in the UK. A myelin repair cancer drug to be tested in MS, an asthma drug which may slow MS progression, a drug which might stop the blood brain barrier breach and a new drug which has surprisingly strong neuro-protective qualities. Plus two features – one on biotin or vitamin B7 for progressive MS and one on what I think is a missed opportunity to give all progressive MSers ten year (rather than three year ) driving licences. – MS that are due to report later this year. (Functional Electrical Stimulation) which I think has kept me walking. to prog – MSers. In news there’s a story about research that asks whether a common stomach bug is linked to MS progression and a story about an experimental new diabetes drug that seems to have the potential to re – myelinate. Page 6 looks at a recent seminar where top neurologists discussed treatment options at home and abroad for us progressives. The findings are surprising and well worth reading. If you have enjoyed reading this “ezine” please send to all other progressive MSers in your address book so we can raise our profile and lobby for a better life. If you want to get regular copies of this “ezine” directly then email me at iancookjournalist@yahoo.co.uk and they will be delivered directly to you.